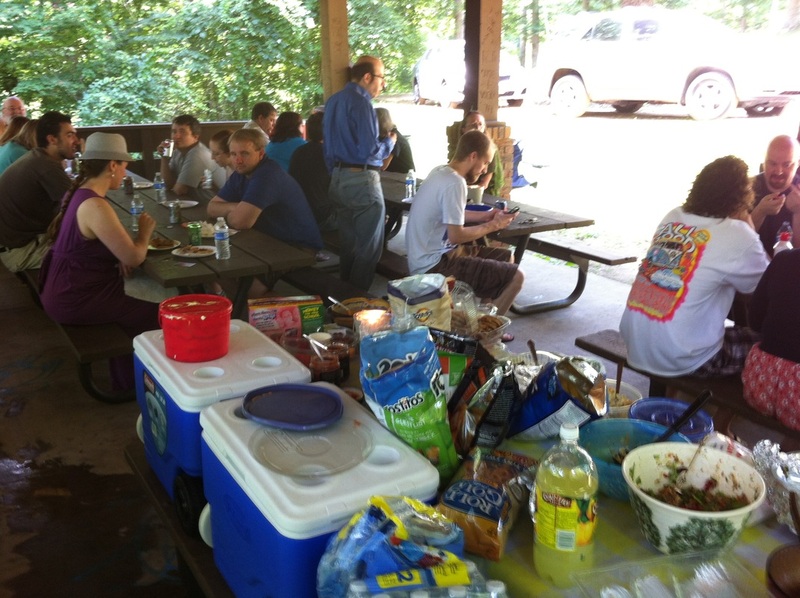 During the summer months, we have picnics/cookouts on the last Saturday of each month at Coonskin Park (shelter numbers announced each time). Everyone is welcome to join us for good food and friendly faces—without having to worry about being preached at! Kids and pets are also welcome. The picnics are potluck-style, so if you can, we’d love for you to bring a prepared food dish to share or a (non-alcoholic) beverage. We hope you’ll also bring a friend! But we’ll be happy to just have you join us. We will have books from the SHCC Library available to lend. If you would like to request a specific book (or books) from the SHCC Library Catalog, just let us know and we’ll make sure to bring it. Each picnic lasts for about an hour and is followed by a community meeting (business meeting) for the voting members and anyone else who would like to stay for it. We’ve added a page for discussion about who’s bringing what (food, utensils, etc. ), just contact us for the password to access it.